The Yankees made the first big splash of the 2019 offseason last week with the acquisition of the excellent James Paxton. The move instantly made the Yankees a more talented team, and there is a decent argument to be made that Paxton will be the best available pitcher of the offseason. 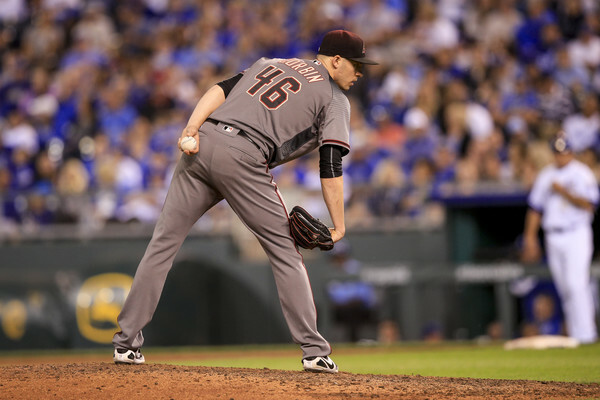 But the Yanks still only have four starters, so they are not done yet—and Brian Cashman now has a chance to build one of the game’s dominant rotations by signing Patrick Corbin. Corbin, a native New Yorker, has always seemed excited about the opportunity to play in the Bronx. Better yet, he is clearly the best available arm on the free agent market. The 29-year-old lefty represents the Yankees best chance in years to boast a rotation free of major concerns and question marks, and the Yankees should not let this opportunity pass them by. Mike did a deep dive into Corbin’s profile back at the beginning of the offseason that you should check out, but a few things are worth exploring again. First, Corbin is fresh off of what is likely the best year of his career. Across 200 innings, he posted a 3.15 ERA (2.47 FIP/137 ERA+) with excellent peripherals, striking out over 30 percent of batters faced, walking only 6 percent and inducing a ground ball nearly half of the time. Even though Fangraphs and Baseball-Reference quantify his season a bit differently (6.3 fWAR versus 4.6 bWAR), the fact remains that Corbin was a pitcher with few peers in 2018. He was able to take that leap thanks to a sudden improvement against right-handed batters and noticeable drop in home run rate. He also added a curveball to his arsenal, which includes two fastball variations, a changeup and one of baseball’s best sliders. Perhaps the addition of the curveball—which he threw about 9 percent of the time in 2018, meaning roughly 50 percent of his pitches thrown were either slider or curve—helped him take the next step. But even if Corbin slightly regresses to his pre-2018 production, he would be a smart signing for the Yankees. There are minimal injury concerns with Corbin (he had Tommy John in 2014, but has otherwise been fully healthy) and he has had considerable success outside of 2018, posting a 113 ERA+ in 208.1 innings in 2013, a 115 ERA+ in 85 post-surgery innings in 2015 and a 116 ERA+ across 189.2 frames in 2017. He did have a down year in 2016 (87 ERA+), but that seems more and more to be an outlier. Moreover, his dependability would be a nice insurance policy against the more fragile James Paxton in the Yankee rotation. Corbin’s peripherals again suggest that he is a worthy investment. In 945 career innings, Corbin has posted a 48.9 percent ground ball rate compared to a 27 percent flyball rate, whiffing about 22 percent of batters faced and walking around 7 percent. His ability to limit hard contact (only a third of batted balls against him are considered “hard contact” and his line drive percentage is closer to a fourth), miss bats and keep the ball on the ground bode well for his future—even if his home run rate would be expected to climb in hitter-friendly Yankee Stadium. In other words, Corbin is a rare pitcher. Lefties who miss bats as he does are rarely available because they are so valuable, and his dependable track record of above-average innings means that there is much more here than a one-hit wonder. That is why Steamer, one of Fangraph’s projection tools, expects Corbin to post a 3 to 4 win season in 2019 across 197 innings. There are other, cheaper options (expect Corbin to command a deal worth roughly 5 years and $100 million) on the market, namely J.A. Happ, but those options are cheaper simply because they’re not as good. And when you’re in the Yankees position—swimming in cash with a roster as talented as any in baseball—there is simply no excuse to pinch pennies when addressing the team’s biggest weakness. Adding both Corbin and Paxton would make the Yankees staff, which was already among the most effective in the league but not quite good enough, clearly one of the best in baseball. The Yankees have long been searching for top-of-the-rotation talent to complement homegrown ace Luis Severino: in 2018, they started Sonny Gray, Domingo German, Jonathan Holder, Lance Lynn or Luis Cessa in 52 games. The Yankees added Paxton to help plug that hole, but they’ll need one more arm—and there’s nobody better suited to do so than Patrick Corbin.